I am working on a book that explores issues of aesthetics in relation to cognitive psychology. 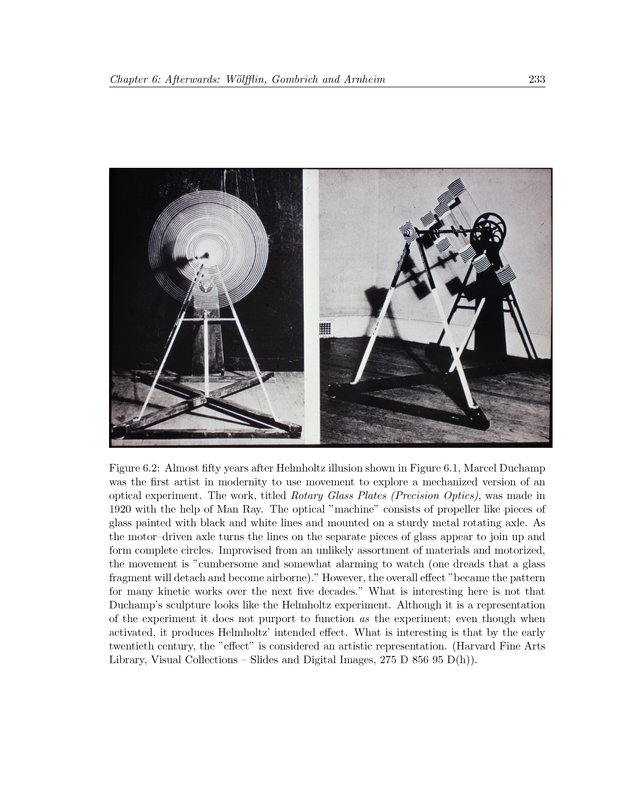 It challenges current theories in visual studies that don’t take into account experimental psychology and the discourse on perception informing late 19th century theories of aesthetics. This work is in the area of neuroaesthetics. Neuroaesthetics is a sub-field of empirical aesthetics that takes a scientific approach to aesthetic perceptions. Most of my theoretical work focuses on neuroaesthetics, but my applied work similarly looks at human perceptions of the environment. BOOK SUMMARY: After modernity the landscape of aesthetic theory is littered with terminology inflected with psychological implications. In addition to concerns about the social construction of vision it would be difficult to engage modern theories without considering the role of neurophysiological states, empathy theory, perception, aesthetic semiotics and so forth. This book addresses the ontological shift from a pre-­modern representational schema produced by philosophies of mind that modelled consciousness as an end game from sensation to rational thought; to a robust physiological-experimental psychology built on the interplay of sensation, perception, and intellection. 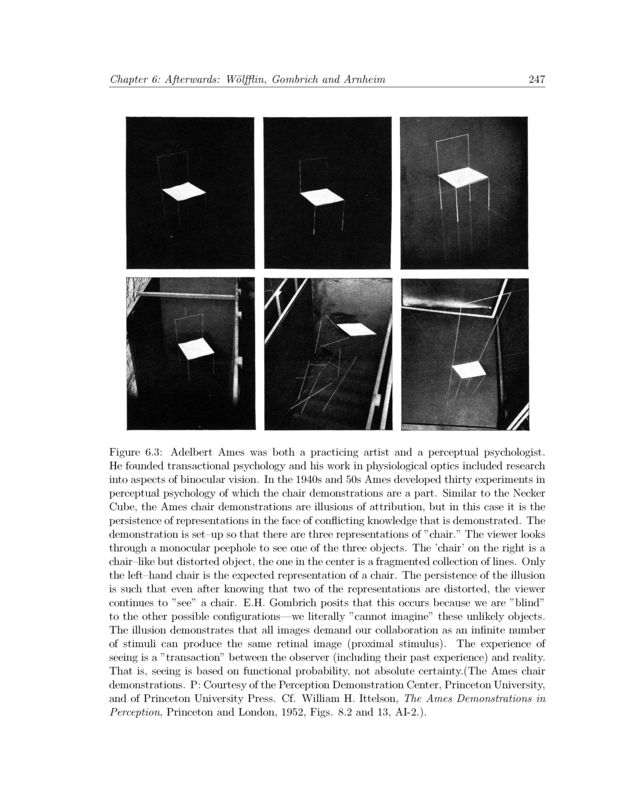 The discourse on representation in aesthetics and psychology is sui generis yet historically contingent across epistemological categories: the basis for any definition of representation hinges on where we situate the formulation of our assumptions built into our models of consciousness. This book focuses on the calibration of internal states and the osmotic boundary between interior and exterior mental imagery emerging in the context of an empirical psychology—that is an experimental psychology contemplating processes of mental function in relation to an embodied experience that I argue is the condition of the modern subject as object. This is to say: modernity in art is the moment when representation becomes the projection of self into the world as a resonance between the inner representations of mind and an outer manifestation as image and substance. 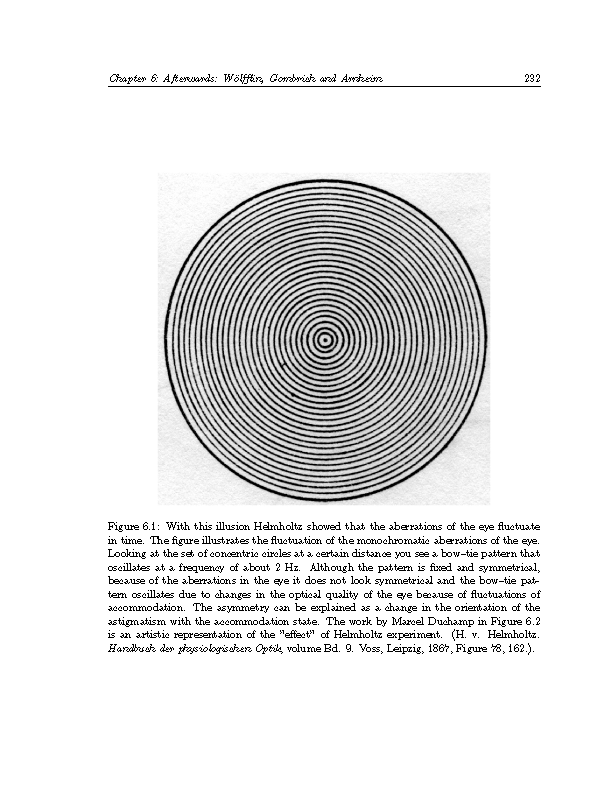 Click on the links below to see a few images of experiments, art, and illusions that contribute to the making of the modern mind. Tags: Aesthetics, Art, Modernity, Visual Perception. Bookmark the permalink.